Does your mom enjoy essential oils? Then you should consider buying her an essential oil kit and aromatherapy diffuser. This Natrogix Bliss Essential Set contains nine essential oils -- tea tree, lemon, lavender, sweet orange, rosemary, lemon, frankincense, eucalyptus, and peppermint. Your mom will be able to create her own special blends. Then she can waft her favorite scents through the house using this Natrogix Essential Oil Diffuser. If your mom is a huge chocolate lover, then a gourmet chocolate truffle set is the perfect gift! 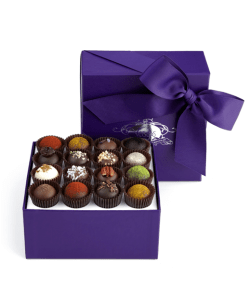 This Vosges Exotic Truffle Collection contains 16 pieces. Some unusual flavors and ingredients incorporated into these unique truffles include pumpkin seeds, Hungarian paprika, horseradish, anise, and banana pudding. Any foodie will enjoy this gift! Is your mom into skincare products? Does she love pampering herself? Then you should consider getting your mom a high-quality face mask set! Peter Thomas Roth's Meet Your Face is a sampler kit with six of Peter Thomas Roth's most popular masks to detoxify, soothe, hydrate, and polish skin. It's ideal for skin that has fine lines and wrinkles, is dry, and has an uneven complexion. Give your mom the gift of glowing skin. 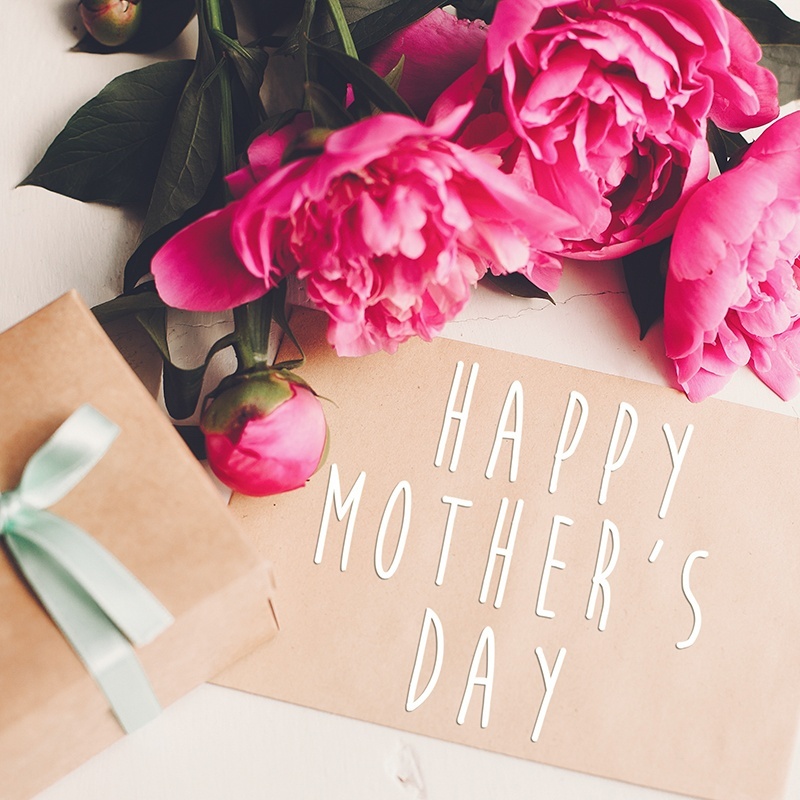 Does your mom appreciate creative gifts? Is she a consumer of coffee? Then personalize a coffee mug for Mother's Day. 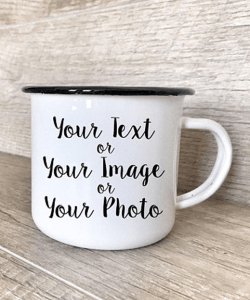 You can customize this mug with text, an image, or a picture. You mom will cherish a customized gift! You can even throw in a bag of organic gourmet coffee, too. Is your mom a master chef? Does she spend all her free time in the kitchen? Then give her a cookbook for Mother's Day. 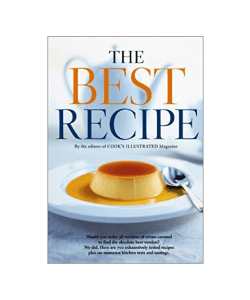 This cookbook, The Best Recipe, is written by Cook's Illustrated and contains the top tested recipes for gumbo, chocolate chip cookies, coleslaw, roast chicken, and hash brown potatoes. Your mom will love this book! Don't forget to give her this fancy cooking set to go along with it. Does your mom love to garden? 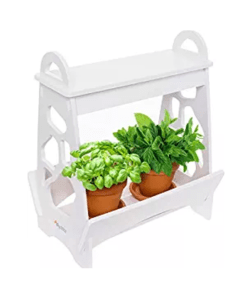 Then get her this LED Indoor Herb Garden for Mother's Day. She'll be able to grow any type of plant in it, especially fresh herbs, leafy greens, vegetables, and flowers. Don't forget to include this organic herb seed set as well! It includes herb staples for cooking such as thyme, chives, cilantro, sage, dill, parsley, oregano, and basil. Nothing says "I love you" like a massive bouquet of flowers. 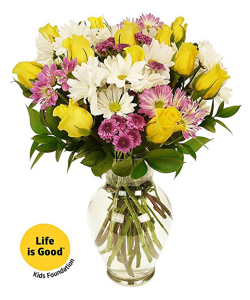 If your mom adores flowers, then you can easily order her a bouquet online, like this one. It even includes a vase! Throw in a nut and dried fruit basket, and you have a complete gift. Mother's Day is all about showering your mom with love and affection. Buy her a gift she's sure to appreciate to really show her how much she means to you. Check out the above gift ideas for inspiration. "50+ Perfect Mother's Day Gifts That are Totally Affordable," Woman's Day, April 16, 2018. "22 Thoughtful Mother's Day Gifts Under $25," Business Insider, May 1, 2018. "20 Unique Gifts for Mom This Mother's Day," Esquire, May 3, 2018.